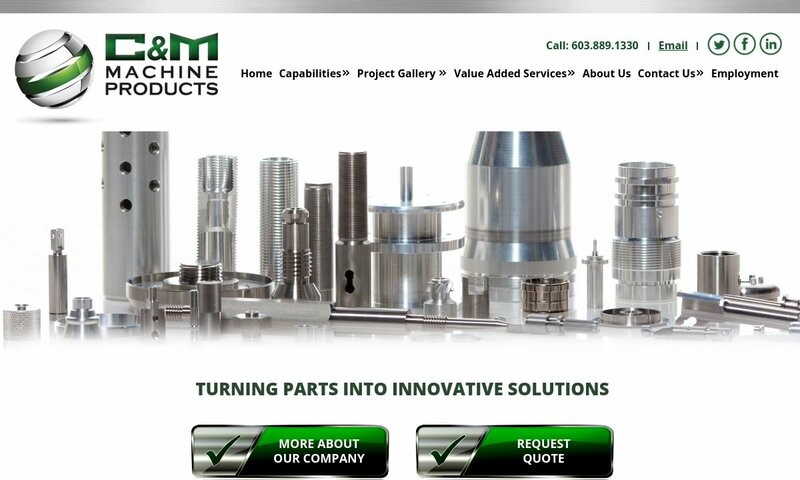 A reliable source for Screw Machine Products information and a resource for accessing leading Screw Machine Products and suppliers. The term “screw machine” broadly refers to those machines that produce a high volume of turned parts via either CNC technology or cams. 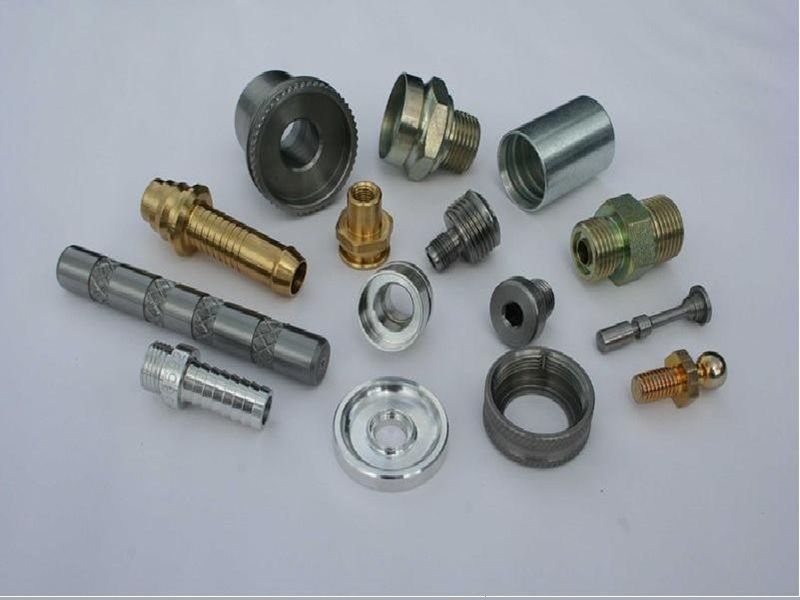 Screw machine products are those products produced by said screw machine. Screw Machine Products The term “screw machine” broadly refers to those machines that produce a high volume of turned parts via either CNC technology or cams. Screw machine products are those products produced by said screw machine. H & R Screw Machine Products-ISO 9001-certified manufacturer of high-volume screw machine products for many industries. We also produce CNC turned parts and provide machining of customer supplied castings, forgings and stampings. 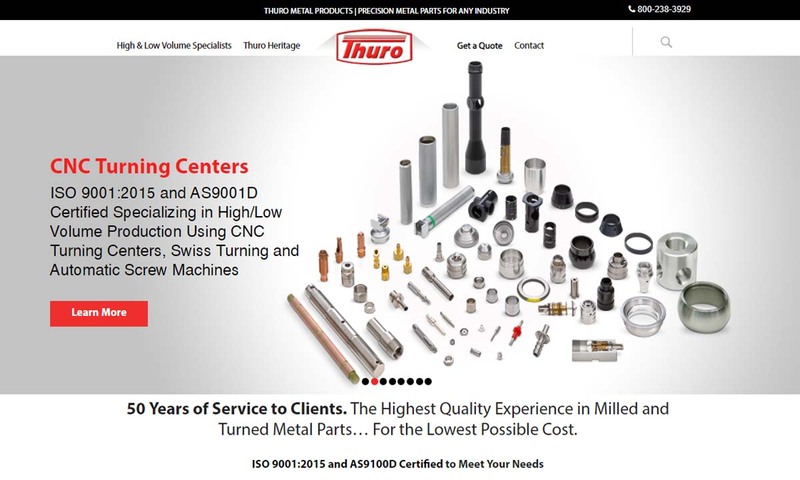 It is Thuro’s mission to be the leading choice for screw machine parts, and to offer our products at the highest quality and the lowest cost. Our team members dedicate themselves to ensuring that our customers receive the perfect part on time, every time. 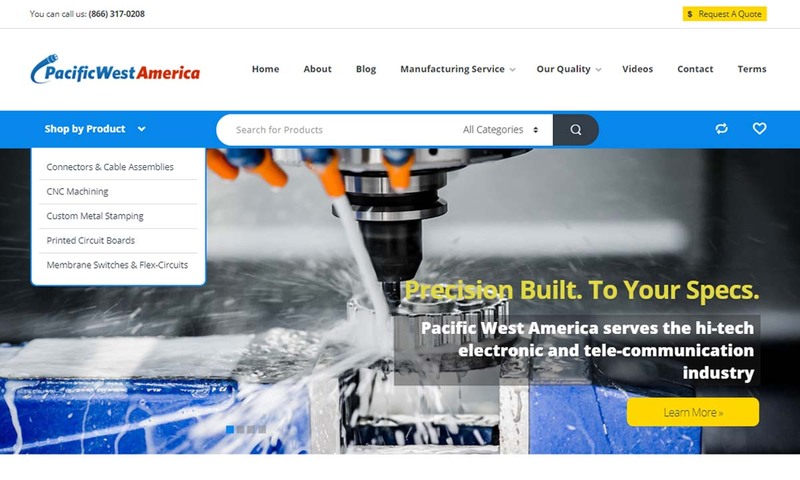 Pacific West America, Inc. offers a wide variety of products and services including precision turning. We use Swiss CNC Turning for our more intricate parts. We use a variety of materials such as, aluminum, steel, brass, among others. Swiss Precision Machining Inc. is a precision parts manufacturer that supplies customers around the globe with the quality parts they deserve. We will work with a variety of materials in order to provide you with the screw machine products that you can count on to withstand the tests of time to provide a lasting value. We employ high-speed, multi-spindle screw machines to create turned parts—finished and semi-finished shapes. Our screw machine products include bushings, couplings and fittings. Despite what their name implies, screw machines produce more than just screws. Through a variety of cost-effective mechanical and CNC machining methods, screw machines produce a wide variety of parts and products. Examples include both standard and custom bio implants, fittings, miniature medical instruments, metal knobs, specialty fasteners, spindles, splines, keyways, threaded rods, tire gauges, and many other metal parts, machined to precise tolerances. 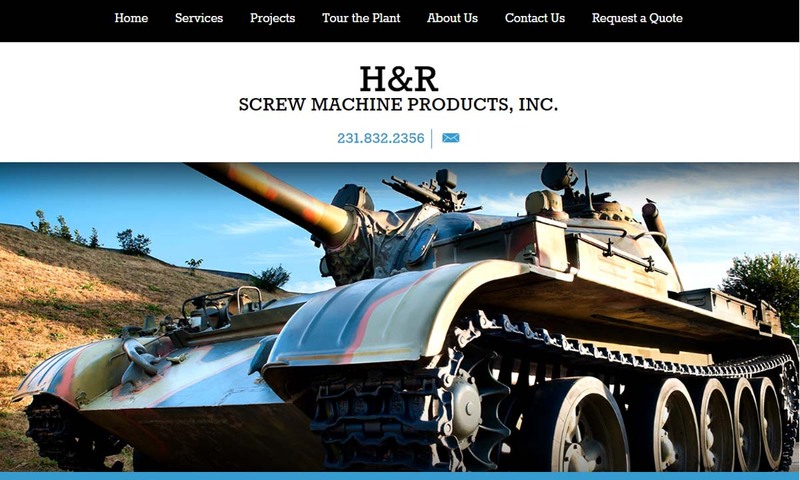 Screw Machine Products – H & R Screw Machine Products, Inc.
Over the last two hundred or so years, the term “screw machine” has evolved to mean a few different things. First, during the 1840s, people referred to turret lathes as screw machines. They used them to create a variety of parts and products integral to the machines used in their rapidly industrializing world. During the 1860s, different inventors began taking elements of the turret lathe and mechanizing them. After this, people started calling the mechanical lathes automatic screw machines, and the earlier screw machines manual screw machines or hand screw machines. Then, in 1865, after Joseph R. Brown patented his milling machine for cutting spirals and called it a screw machine, some people started using different terminology for the turret lathe, but others didn’t. To their credit, it was pretty hard to keep up with all the rapid changes taking place during the Industrial Revolution. Meanwhile, around this time, the Swiss invented their own screw machines to help them in precision watchmaking. To this day, people call this type of screw machine the Swiss screw machine. In 1880, Oscar S. Beale and the engineers at Brown and Sharpe developed the first fully automated screw machine. All of those made before then were reassigned as semi-automatic screw machines. Not long after, manufacturers ceased to refer to lathe turrets as screw machines at all. During the 1940s and 1950s, engineers developed computer numerical controlled (CNC) technology. With it, they were able were able to make CNC screw machines. In the 1970s, they made the first CNC Swiss screw machine, which at first was only used in electronics and the semiconductor industry. During the 1990s, engineers spread their use of CNC Swiss screwing to aerospace, healthcare, and various industrial applications. Today, manufacturers use both CNC screw machines to make countless screw machine parts and products. Modern screw machines are faster, more efficient, and able to take on higher load volumes than ever. As our world requires fasteners, we doubt they’ll become irrelevant anytime soon. When performing their many services, screw machines may use any number of metal materials, the most common being aluminum, brass, steel, stainless steel, and titanium. Aluminum is a naturally occurring element with the atomic number 13. This ductile metal is nonmagnetic, corrosion resistant, and low in density. Screw machine product manufacturers rely on aluminum screws in industries such as construction and architecture, aerospace, and transportation. Brass is an alloy composed primarily of copper and zinc. Brass is bright, with a strong gold tint. It offers low friction, good workability, durability, and a non-sparking nature. It is also antimicrobial. Brass screws are most common in architecture, decorative applications, and plumbing. Steel alloys are among the most commonly turned metals. Steel alloys, composed primarily of iron and carbon, are known for their high tensile strength. For this reason, steel screws are used in a wide range of industries, from transportation to defense. Stainless steel is one of strongest steel alloys. It is at least 10.5% chromium by mass. Stainless steel is corrosion resistant, stain resistant, strong, and easy to sterilize. It is popular in construction, medical devices, parts manufacturing, machinery, household goods, and much more. Titanium, known on the periodic table as Ti, is an extremely strong transition metal. In addition to its strength, it is known for its low density, light weight, and extreme corrosion resistance. Titanium is a favorite in the aerospace, automotive, sanitary, and medical industries. Manufacturers carry out their work in screw machine shops, where they have access to everything they need to perform precision screw machining. They make choices on product material, product design, and machining types based on customer requirements. During the operation of a screw machine, manufacturers start by feeding a metal bar stock, which may be square, round, or hexagonal into its bar feed. The bar stock spin as they encounter any number of automated tools, such as drilling, cutting, notching, or knurling tools. Such tools are attached to the screw machine. These tools form the bar stock into parts by drilling, shaving excess, and smoothing the stock. Often, manufacturers arrange these tools in stations, set at a variety of possible axes, including turret, horizontal slide, and vertical slide. The most common types of screw machines are CNC screw machines and CNC lathes, also known as CNC turning centers. CNC screw machines can machine up to six parts at once, and they can carry multiple spindles at once. They are extremely useful for mass production applications. CNC screw machining and CNC turning can create more uniform, complex and precise parts. CNC lathes can also CNC machine and CNC turn up to six parts at once. They, however, cannot carry as many spindles as CNC screw machine and are therefore not as versatile. They also do not work as well for mass production. Other type of screw machinery include mechanical screw machines, multi-spindle CNC screw machines, Swiss type screw machines, and roll machines. Mechanical screw machines consist of eight or more simultaneously operating spindles, metal bar stock attached to the spindles’ spring collets, a main drive shaft, a bed lead work shaft, two front cam shafts, a motor, and controls. The main drive shaft controls the front two cam shafts and powers the bed lead work shaft. Meanwhile, the motor, which is found at the machine’s base, provides power to all operations. Its horsepower varies per the size and speed of the machine it powers and the stock the machine forms. Traditional screw machines are less expensive on the outset and can produce high volumes of product and are not inherently slower than their CNC-operated counterparts. So, in some settings, they work incredibly well. Multi-spindle CNC screw machines are an example of hybrid machines that bridge the gap between the mechanical and CNC screw machine styles. Multi-spindle CNC screw machines take time to set up, requiring part design, CAD design, and general system programming. However, once set up, they prove quite cost effective, especially during long production runs. Swiss type screw machines are more traditional screw machines. They have successfully been mass producing screw machine products since their invention in Switzerland in the late 1800s. They are different from other screw machines because they use rotary slides to move the metal bar stock. Also, they work primarily by shaving down said bar stock. They are available in both mechanical and CNC varieties. CNC Swiss screw machines are extremely versatile; their 8-plus spindles can operate at different speeds simultaneously. Roll machines are machines that manufacturers use to roll internal screw threads. Typically, rolling machines consist of a thread rolling die that presses into a blank. Thread rolling machines allow for large production runs. Manufacturers select different surfacing processes in order to impart screw machine products with different looks or functions. Examples of these processes include turning, knurling, thread forming, thread rolling, and rotary broaching. Turning is a rotary machining process by which manufacturers perform a number of services on a part, such as drilling, slotting, knurling, threading, and milling. Knurling is a process that produces a patterned texture on a metal’s surface in order to provide grip. Manufacturers use this process to finish metal flashlights, nuts, knobs, tool handles, and more. Thread forming processes are used to form screw heads. Because threading is time consuming, manufacturers more commonly use it with lathes than screw machines. Both knurling and rotary broaching employ cold forming, and therefore do not require the high heat of some other forming processes. Thread rolling is a threading method that involves the use of hardened steel dies that roll against the workpiece. Instead of removing material, the thread rolling process actually moves it. This makes for stronger screws and other threaded machine parts. Manufacturers prefer to thread roll their screw machine parts, not only because thread rolling produces strong parts, but also because it creates smooth, even, and precise threads. Rotary broaching is another common screw finishing process. Rotary broaching uses a saw-like cutting tool, called a rotary broach or wobble broach, to cut irregular shapes into metal. There are many reasons to love screw machines. First, the precision and tight tolerances manufacturers can reach using screw machining are hard to match. Rarely do parts created through other metal fabrication and forming processes approach the quality of screw machine products. Screw machines are perhaps the best devices out there for turned parts formation. In addition, CNC technology, which almost all screw machines use, offers many benefits to the turned product manufacturers, including more uniform parts and higher production machining rates. If you are considering purchasing one or more custom screw products, you want to work with a high-quality parts manufacturing company that you can trust. There are many screw machine product manufacturers out there claiming to be the best, but unfortunately, not all of their claims hold up to scrutiny. 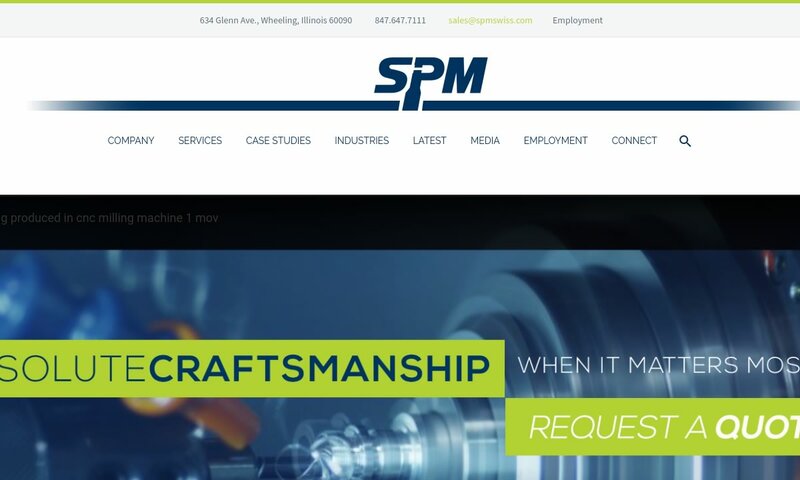 To make sure you get it right the first time, we have compiled a list of experienced manufacturing companies that have proven their value in the precision machining industry many times over. You will find these listings by scrolling up. The manufacturers, with their respective company contact information and profiles, are wedged in between these paragraphs. Before you start checking out those we have listed, though, we recommend you take some time to make a list of your own. This list should detail your specifications, including your product volume request, your required lead times, your delivery preferences, your standard requirements, and your budget.  Equipped with this list, you will be able to more quickly see which manufacturers have the capabilities you are looking for, and which ones do not. Use your list as a qualifying list and pick out three or four companies with whom you’d like to speak. Reach out to each of them, this time using your list to keep your conversation focused and productive. 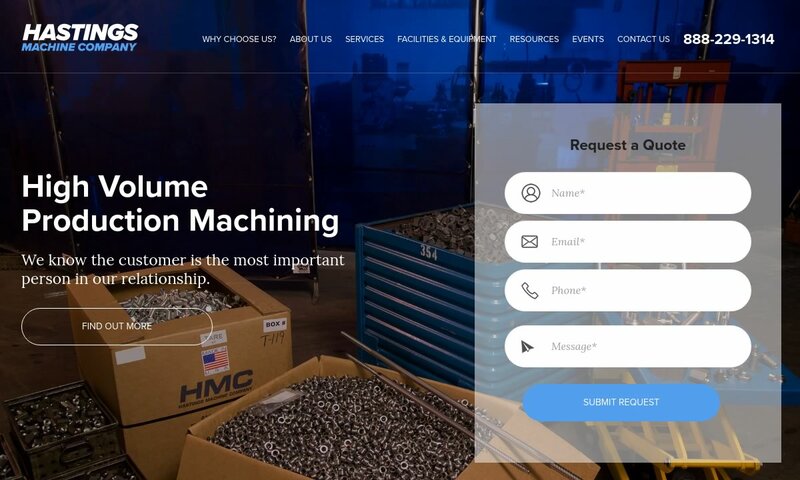 After you’ve spoken with each of them, compare and contrast their services and capabilities, and select the right manufacturing company for you. Happy hunting!